object-mechanics.com – Page 3 – I write science fiction, and software. Sometimes one turns into the other. I write science fiction, and software. Sometimes one turns into the other. I’m back at SXSW for the second time, soaking up as much new information and having as many conversations as possible! No interviews this year, and so far, just adventures and no misadventures! From the Copyblogger.com writer’s party (guest post coming there soon!) to being interviewed by the SXSW Baby Podcast to winning an iPad 2 and a bag of Doritos at the Alcatel Lounge, it just gets better every year. I’ve been to several sessions and met some incredibly interesting and inspiring people – which is to be expected! The sheer volume of awesome crammed into 5 days in Austin is extraordinary; it will take some time to digest it all once I return. To add to the awesome, Ysmay of metroseeker.com wrote a very complimentary review of my book, you can read it here. Thanks Ysmay! 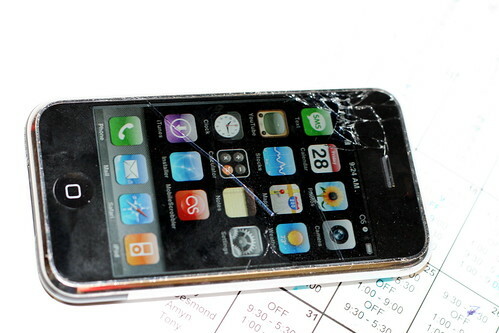 Several years ago, The Wall Street Journal released a mobile application. It got about 40,000 one-star reviews, out of roughly 70,000 reviews, for a two-star average. Given the resources and talent available to such an organization, how could this have happened? And what does it mean for the rest of us, who don’t have million-dollar budgets and high-rise office suites? Why Did the WSJ Fail So Badly? Because of the signup screens. Apparently, no one bothered to do any usability testing on the signup screens. Granted, usability testing and User Experience (UX) design cost money – but how much does 40,000 unhappy customers cost? One might think that something this obvious would have been caught, oh, in the mockup stage. I suspect it was all overlooked because the project was focused on new subscribers. Ouch. There are two kinds of users for this application: new subscribers, and old subscribers. While the signup screens might make perfect sense for new subscribers, they offended existing subscribers in droves, by impliying that they had to pay again for content they were already paying for. The marketing team may be terribly excited about attracting new subscribers with a shiny new mobile application, but do not forget about everyone else that might use the application; they deserve some design consideration, too. A one-minute usability test with an exisiting subscriber could have prevented 40,000 unhappy customers. So What Does This Mean to Me? Now, you’re probably not designing a mobile application for a major newspaper. You may not be designing an application at all – but there are ‘users’ of different kinds in every business. Are you considering all of them? Are you doing any usability testing, even “thought experiments”, for them? When you see the word “user”, think “customer”. Perhaps you’re a web designer. Your customers use your services, and are thus “users”. You may have brand-building users who only want to make a good impression and send visitors to Google Maps to get directions to the nearest store. You may have SEO-obsessed customers who absolutely must rank #1 for the phrase “forgotten electrolyte compounding”. You may have mom-and-pop store users who are scared to death of the Internet and the only thing they want is to get it over with without getting screwed. Do you have the same process, the same “user interface” for all of these different kinds of users? SXSW Peeps Book is Published! Four hours to dictate everything I could remember. Followed by days of anxious waiting and wondering. Now the real work – promotion – begins! 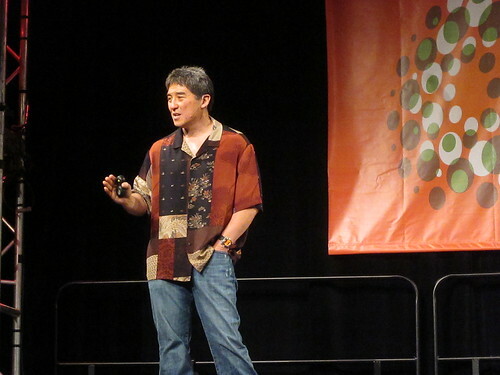 Guy Kawasaki wrote a book, Enchantment (affiliate link), and talked about it at SXSW 2011. The book spells out in simple terms how to be liked and likable, inside and outside of the business world. For some, it’s “old news” though it’s not a rehash of Carnegie. For many – especially a certain section of the population that has more conversations with computers than people – it’s eye-opening enlightenment. In several places, the standard accepted wisdom is shattered, for good reasons (for example, see “Dress for a Tie”). I read it on the trip back from SXSW, and thoroughly enjoyed it. Guy presents his ideas in a way that flows smoothly across topics, building steadily throughout the book. One section in particular, “How to Enchant Your Boss”, should be no surprise and on the surface seems almost trite: when your boss asks for something, drop everything else and do it immediately. But there’s more to this than meets the eye, and no brief review can do justice to the carefully-crafted buildup that sets the foundation for this one sentence to have a profound impact on your daily life. The advice applies to your spouse also, not just your boss. Read it and decide for yourself. Guy lives what he teaches: He consented to an interview for a blog with no readers, and gave me two autographed copies of his book – one of which I will give away to a random commenter, provided the comment is relevant to Guy or the book. So tell me: why do you want to read the book? Or why do you not want to read the book? For one thing, it’s meatless. For another, she used cottage cheese – which I loathe. But our parents were happy to let her cook for the five of us, so we had it…far too often. After I left home, I didn’t eat lasagna for almost 20 years. I didn’t like it at home, and of course naturally assumed that that was how it was supposed to be. I didn’t know any better. That’s the way it always was, cooking is not my forte, so I just accepted it as given that I didn’t like lasagna. Now I know that – made properly, with meat and real cheese – it’s delicious. A few months ago I had one of those long and somewhat painful growth-conversations with my life/business coach that I didn’t want to have, but knew that I had to have if I was ever going to get beyond where I was. I was overwhelmed with work, at the limits of my personal capacity, yet I was loathe to hire anyone to help me. I did not want to manage people. Ever. Again. You see, I managed an incredible team of 25 stellar programmers for a start-up company many years ago. It was hell. Not because of the programmers, but because of the inane and insane corporate organization, policies, paperwork, micro-management, hours, rules, meetings, pressure, deadlines, and so on that came with the position. No amount of reason or appeal to modern management resources could alter the death spiral of doom. I spent most of my time trying to keep the team from quitting, and the rest of the time wondering why. It was my sister’s lasagna all over again. There was no reason for the insanity. No reason for the inane policies. No reason for the micro-managing paperwork and bureaucracy. No reason at all, except that’s the way they’ve always done business. It was out of my control – but since I didn’t know any better, I accepted it as normal. It is not normal. It never was. And furthermore it didn’t have to be like that again. My company would not do these ridiculous things. My team would not have to put up with such non-productive nonsense. My way…was not that way. How many things in your life are you rejecting out of hand because of what happened in the past? Because of things that do not have to be the same now? How much faster could you make progress if you let go of these bad recipes, and tried your own tasty concoctions instead?